We’ re sending a big thank to our amazing partner useinsider.com and their authors who provide us the talented articles and fascinating topics. Undenibly this one is worth to be shared with our readers! Until recently, our shopping experience was in the hands of salesman and store support staff. They were the ones who would get us the right apparel, suggest outfits and even cross-sell a jean to go with our tees. Since the growing popularity among consumers for eCommerce in the digital age, shopping has changed significantly. So did the way we consume recommendations. Some of the best minds in online retail created a virtual salesman, the so-called Recommendation Engines, for the eCommerce era and they literally changed how we shop today. If they are set up and configured properly, Recommendation Engines can significantly boost conversions and revenue, while providing incredible digital experiences to modern shoppers. Having said that, there are too many Recommendation Engines out there. A good recommendation engine should be flexibleto be able to meet the requirements of different industries: eCommerce product recommendations (i.e. Amazon) vs. media recommendations (i.e. Netflix) and so on. It should be scalable to meet the increasing number of users and items in the inventory and most importantly, it should work in real-time to reflect time change, seasonal and regional changes. Let’s dive into how some of the most common algorithms behind Recommendation Engines work under the hood. Collaborative filtering is an algorithm used by Recommendation Engines to find similarities between users and items. The filtering uses data gathered from user activity and their item selections. For example, when you check out a product on an eCommerce site, you’re also suggested a series of products under a “You May Also Like” section. These products are shown as a result of collaborative filtering. Product-based filtering looks for closer familiarity and context between products and user activity. It’s a tactic that complements collaborative filtering to provide even better results. 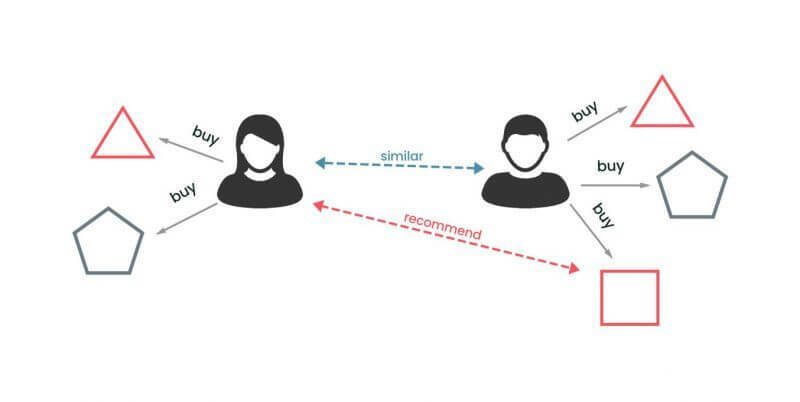 Buy-to-Buy algorithm – These are recommendation where the engine looks for combined buying trends in orders. The engine analyzes the trend between a variety of products and looks which two or more combinations are purchase more frequently to recommend those products together. View-to-View algorithm – These are recommendation where the engines look at how many times a product combination has been viewed together and the combination with the higher view count is used in recommendations on the product page. For example, if you are buying a headphone online, the engine might use product-based filtering to recommend a pair of speakers as well. These recommendations are based on product attributes like price, brand, description, color, and more. At Insider we’ve built unique attributes to provide flexibility to marketers who are looking to go beyond simple recommendations. For eCommerce businesses, it could use collaborative filtering, compare trending items and user preferences to whip up the perfect mix of items that could be added at checkout by the end user. For media houses and publishers, Insider could serve articles and content to followers by looking at the freshness of the content, the relevance between the content and historical behavior of the reader and more. If you come from a travel based company, you could use Insider to serve hotel recommendations and sightseeing packages based on your user’s tickets, location and popularity of the places among other travelers. 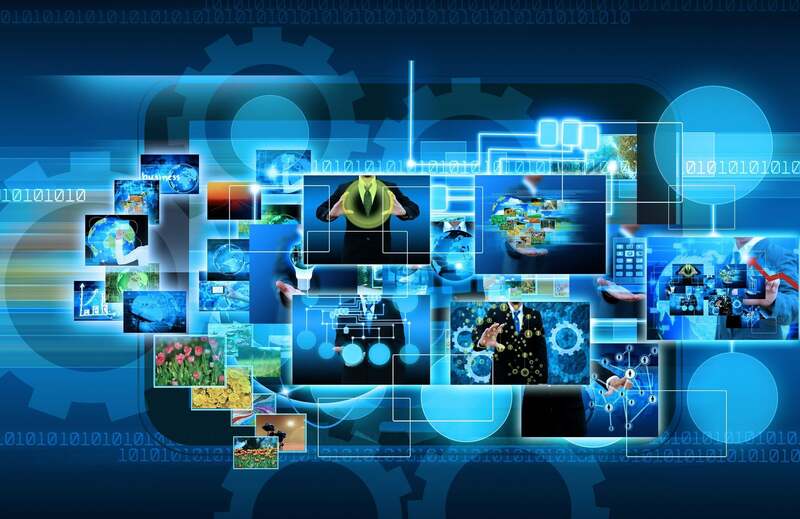 Top recommendation engines out there have a comprehensive rules operator behind the scenes for all kinds of filtering algorithms including collaborative and content-based. At Insider, we’ve developed a wide array of rules for Insider’s Smart Recommender to improve the performance and precision of recommendations. Insider’s filtering algorithms work with a variety of conditional statements like more than, less than, equals to, and more. What’s even better is that Insider’s technology enables marketers to use different types of rules and logic to create custom filters based on all kinds of needs across different industries. For example, if a customer is looking for a given type of television set, Insider could recommend products based on the size of the display, the technology browsed, as well as the best sellers in the category. By running diverse loops and algorithms here, Insider easily identifies what the buyer is looking for and shows the best product without having the buyer do it manually. Understanding the performance of various recommendation scenarios helps you to continuously optimize experiences and improve important metrics such as conversions and average order value (AOV), while increasing user engagement and bringing down the cost of customer acquisition. On top of a brilliant recommendation engine, you can harness more using Insider’s very own dashboard and reporting. The real-time extraction of data allows you to make a swift and informed decision as well as helping you keep an eye on the effectiveness of your recommendation choices. Insider’s reporting capabilities equip you to create reports and export them in a variety of formats like CSV, Excel and so forth. The dashboard allows you to try different recommendation configurations or create your very own filters, giving you total control of the type of items and content served to your customers. Recommendation engines are a huge factor when it comes to providing your customers with a delightful and non-intrusive experience. It is a no-brainer that powerful recommendation system can reap you huge benefits but the added benefit is that it makes the life of a customer more enjoyable. The entire task to buy what we need becomes less cumbersome, faster and more enjoyable.